In her first memoir, Roz Chast brings her signature wit to the topic of aging parents. 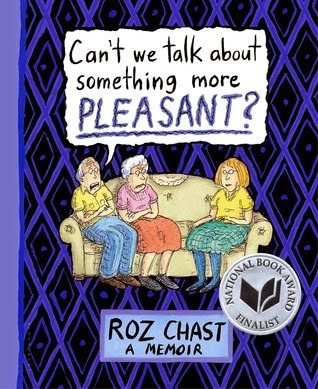 Spanning the last several years of their lives and told through four-color cartoons, family photos, and documents, and a narrative as rife with laughs as it is with tears, Chast’s memoir is both comfort and comic relief for anyone experiencing the life-altering loss of elderly parents. An amazing portrait of two lives at their end and an only child coping as best she can, Can't We Talk about Something More Pleasant will show the full range of Roz Chast’s talent as cartoonist and storyteller. Her cartoons have also been published in many other magazines besides The New Yorker, including Scientific American, the Harvard Business Review, Redbook, and Mother Jones. 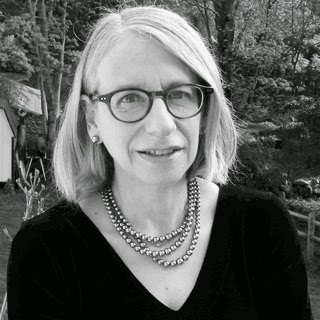 Her most recent book is a comprehensive compilation of her favorite cartoons called Theories of Everything: Selected, Collected, and Health-Inspected Cartoons of Roz Chast, 1978-2006. She also illustrated The Alphabet from A to Y, with Bonus Letter, Z, the best-selling children's book by Steve Martin. Can’t We Talk About Something More Pleasant? : A Memoir, Is a graphic novel by Roz Chast that tells the story of her experiences caring for her elderly parents as they make their way through the least popular stage of life; the last one. Chast uses her unique and candid voice and eccentric drawing style to illuminate a very dark topic in society. What she creates is a story that is equal parts hilarious, heartwarming and downright depressing. Can’t We Talk About Something More Pleasant gives a brutally honest account of the author’s life and the lives of her parents from childhood to the inevitable conclusion. Chast pulls no punches when describing the challenges of caring for an aging parent. She manages to distill every moment of heartache and comedy out of everything from senility to generational differences to just plain stubbornness. Can’t We Talk About Something More Pleasant is part biography, part memoir, part new Yorker comic, except it’s actually funny. The comedic portions are extremely funny but the dark aspect to the humor had me wondering if I should be laughing at times. The idiosyncrasies of Chast and her family make for some truly funny moments until they are put against the backdrop of the hurt that bore them. In that sense, Can’t We Talk About Something More Pleasant is a perfect slice of the human experience; funny on the surface, dig a bit deeper and it is morbidly depressing, see the big picture and everything kind of turns out all right. The entire book feels like a therapeutic exercise on the part of the author. She really delves into the problems she had with her parents, especially her mother and how those problems affected their dynamic later in life. Extremely complex feelings are unearthed and captured in comic form. The medium of the comic lends a lighthearted air to what is a very uncomfortable subject, but Chast also uses it to profound effect to plumb the depths of familial relations. Her brutal honesty for her portrayal of events is only matched by her brutal honesty about herself. For every strip about an annoying quirk of her father or the brash overbearing nature of her mother, there is one about her own guilt over her impatience with her parents or selfish thoughts. It all goes a long way toward chronicling the unceasingly arduous, mercilessly expensive, insanity inducing and at times extremely funny experience of taking care of the people who once took care of you. Calvin and Hobbes holds the same kind of importance for young, only children as Can’t We Talk About Something More Pleasant will hold for those in the sandwich generation. It is the quintessential dark comedy for anyone with aging parents but should by no means be limited to that. Within hours of reading it, I had already recommended it to everyone close to me. I would recommend it to anyone who is in need of a laugh, a cry, or both at the same time. Can’t We Talk About Something More Pleasant is incredibly evocative and charming and is well worth a read.